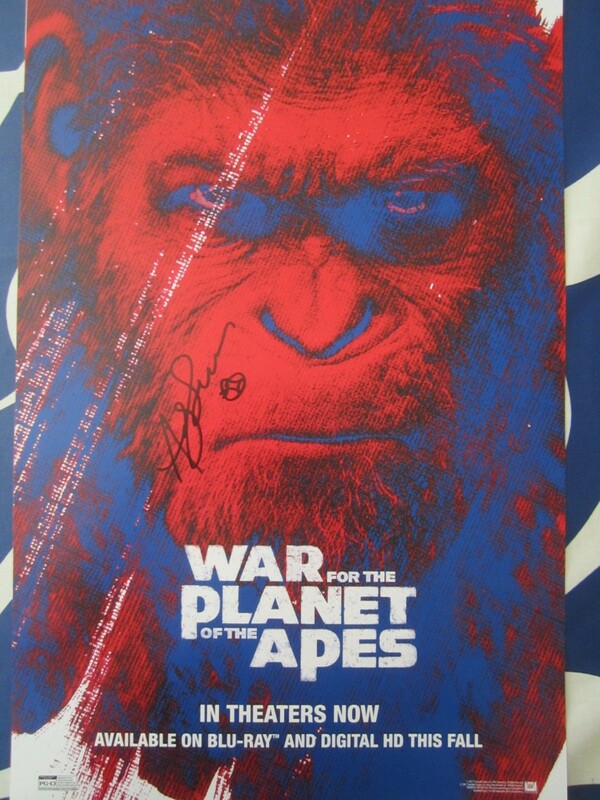 13 by 20 inch War for the Planet of the Apes 2017 Comic-Con movie poster autographed in black marker by star Andy Serkis. 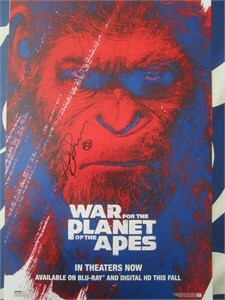 Obtained in person at very limited 2017 Comic-Con signing, with certificate of authenticity from AutographsForSale.com. ONLY 2 AVAILABLE FOR SALE.